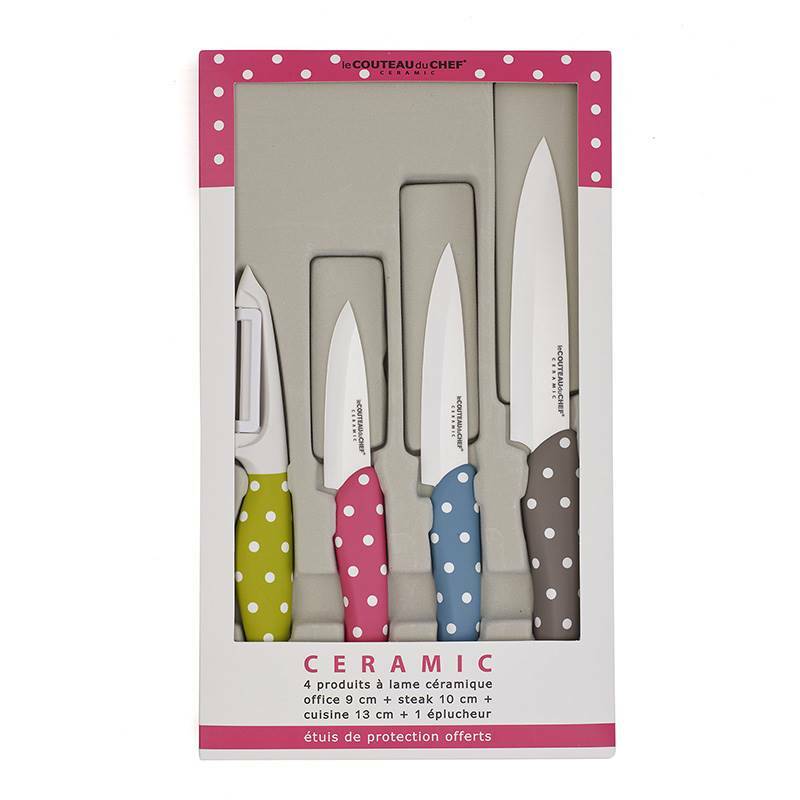 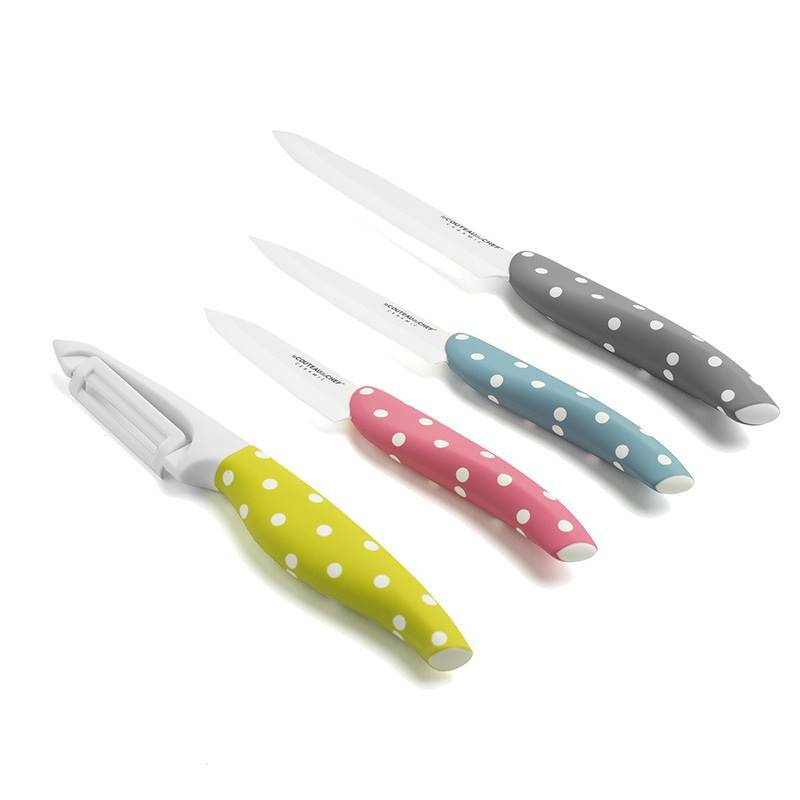 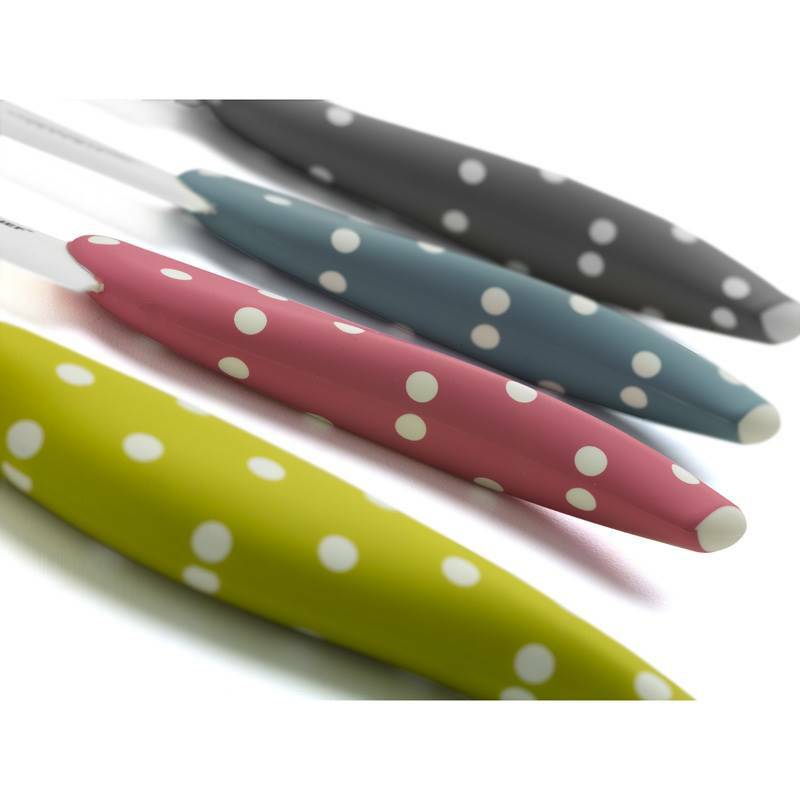 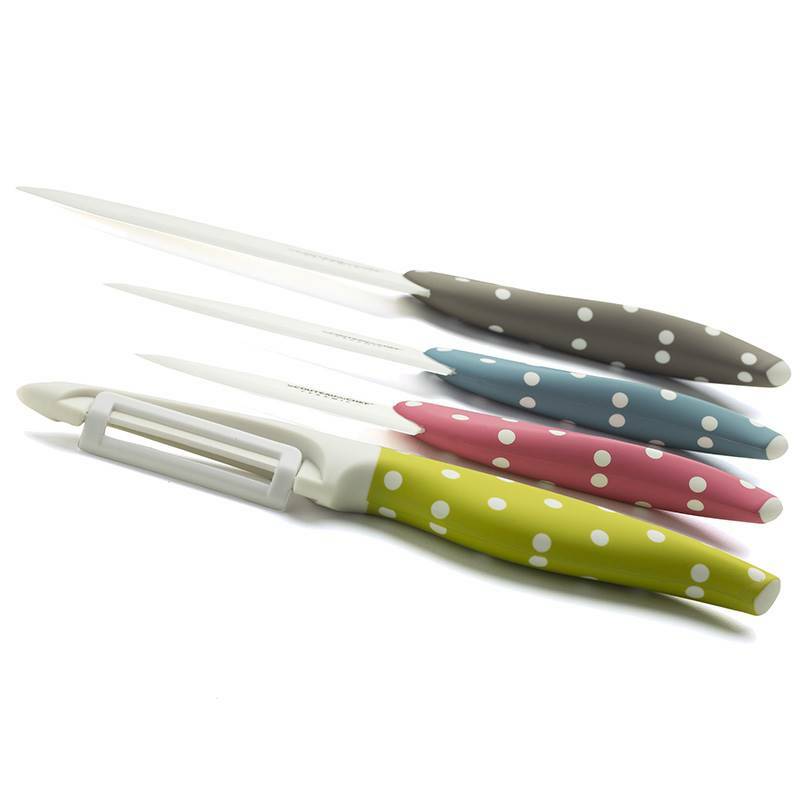 Ergonomic and very pleasant to handle, these soft touch ABS handles from the ceramic blades kitchen knives set offers a particularly neat and cheerful design. 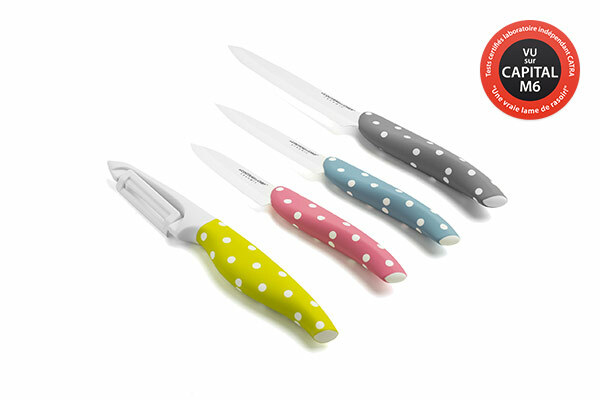 The polka-dots and the colours used for their designs will brighten your kitchen up for a successful decoration adapted to a warm and joyful environment. 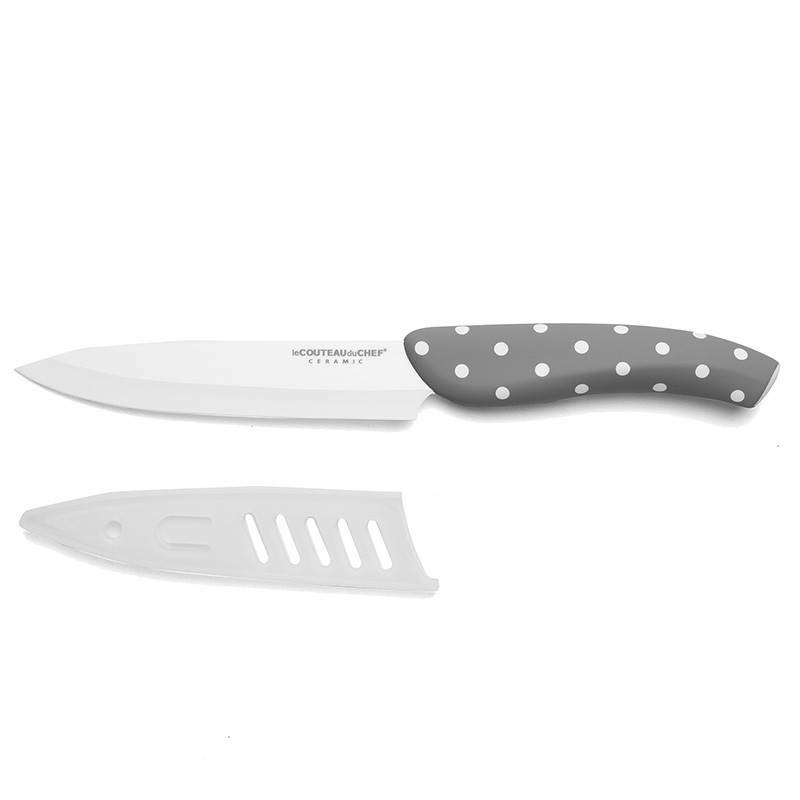 The white ceramic blade offers a high hardness and breathtaking sharpness to these high-end kitchen knives. 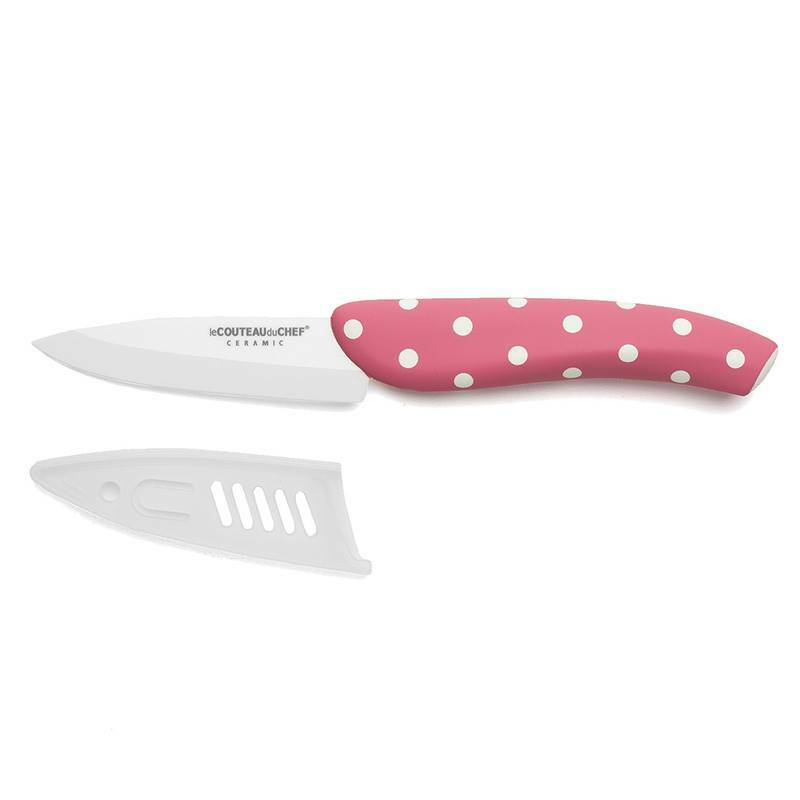 The white ceramic of these kitchen knives is manufactured from a superior ceramic containing high zirconium oxide content. 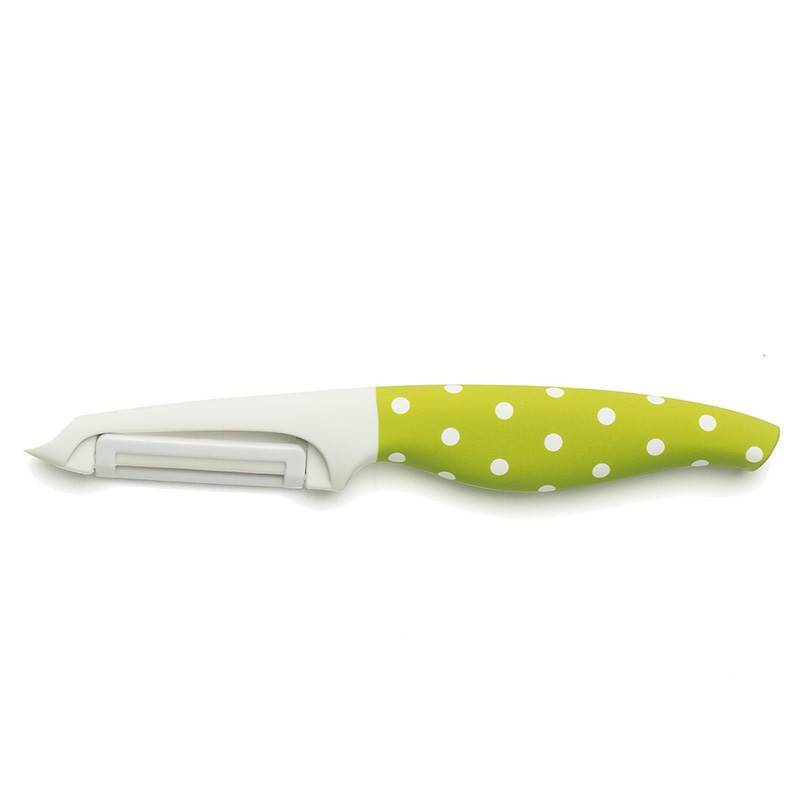 This material has hardness and abrasiveness characteristics similar to those of diamond, purest material in the world. 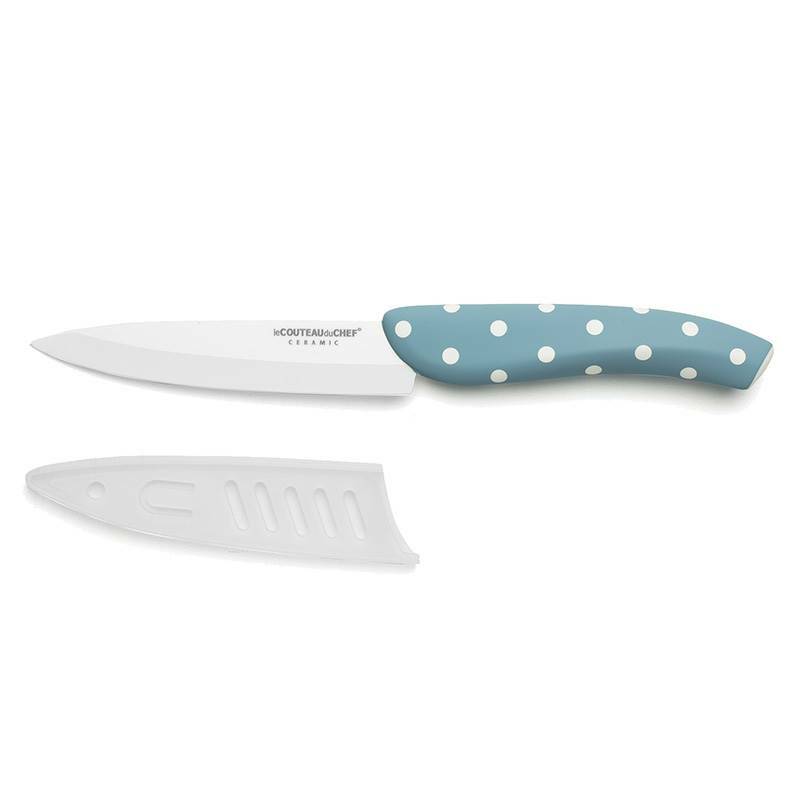 The efficiency and cutting comfort are very superior to the quality of a classic steel knife.